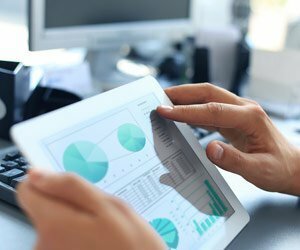 Today’s digital business relies on analytics to provide intelligence about the business and its operations. The focus of analytics has tended to be on business metrics and performance, but analytics can do much more. Two prime examples: Broader analytics use can enhance both the security and performance of digital workspaces. By analyzing where time is spent, recommending apps and files, and enabling workers to see how others in similar jobs perform tasks, analytics makes the overall workplace more intelligent and productive. The key to unlocking these benefits is gathering and using data from many sources. And ensuring there is a two-way data flow between the digital workspace platform and other solutions is essential. First, consider security. Here, the clearest value from analytics is real-time identification of anomalous use. Threats are becoming more dynamic and intelligent, meaning you need your protective measures to be dynamic and intelligent. Rapid identification of “something weird” is a tip-off that there is a potential security threat or attack. Identification of out-of-the-ordinary activity can also indicate the need to lock down data that is being used by an unexpected user or flowing to an unusual location. To be useful, analytics depends on an integrated system that collects data holistically across workspaces, devices, networks and locations. Pulling data from just one or two sources isn’t useful. Usage patterns need to be quickly identified, providing a foundation for creating granular access policies that support productivity without risk. This capability makes it possible to build an accurate trust model that is not only effective and secure, but also flexible as new patterns constantly inform it. The newer, and in some cases more exciting, use of analytics is to improve the user experience of the digital workspace. A digital workspace is not a “set it and forget it” technology. It is a living and breathing environment that is highly dynamic. Modifying the platform based on data analysis can offer huge advantages, including improved productivity. To be useful, the analytic input must provide comprehensive insights on the apps, network, devices and data used. When this sort of analytics is done right, IT can deliver “intuitive” workspaces that enhance the user experience, enabling constant productivity gains. Among the most promising capabilities of an intuitive workspace is the proactive delivery of information to users based on their data consumption patterns. Automating delivery of files and data that are used regularly should be the starting point, but more is possible. For example, a data dictionary can be used to identify closely aligned data sets and deliver information proactively, enhancing users’ productivity. Part of that analysis would involve the system recognizing that a user needs access to allied files and granting that access before the user even realizes the files are needed. Another simple yet powerful way to use analytics is to improve notifications. When a system looks at a user’s patterns of work, it can identify which files, emails and other information the user regularly acts on immediately and then make sure those items are delivered in a fashion that is more prominent than with other files and emails. Email provides a great case in point: If a salesperson always opens emails from customers or managers before all others, those types of emails would be presented at the top of the salesperson’s inbox, and not merely delivered and listed in chronological order. Application performance can also benefit from analytics. Using analytics to identify any anomalies that are impacting performance makes remediation of issues much simpler and quicker. This is typically done without user intervention, meaning the user stays productive and focused instead of experiencing performance-related frustration. Analytics supports the dynamism of many business processes. Using this technology in new ways to optimize digital workspaces is the future. Moving quickly to improve security and enhance the user experience should be on your current project roadmap.